Imagine you’re sitting on the beach, contemplating the sun merging with the horizon before disappearing with lingering traces of orange and pink in surrounding clouds. You can feel the light wind on your face, enjoy the smell of the ocean and the sound of the waves relentlessly crashing against the shore. While you’re lost in your thoughts, little creatures close to shore are focussed on getting ready for the challenge they face every night: making it back to their burrow in one piece. Snapping out of your contemplation, you notice the groups of penguins - called rafts - that are forming in the water in front of you to benefit from safety in numbers. As they get closer, you hear their squawking calls, which will get louder and louder as the penguins come back ashore. Finally, darkness is upon them and they are one step closer to being home, safe and sound in their burrows. One brave penguin decides it’s time to go, carefully navigates a wave, gets carried back to shore and lands there. Others soon follow and form small groups that will start their nightly procession and march – or rather waddle – back to their homes. This is the universe Ken Stepnell’s book will immerse you in, the universe of the world’s smallest penguin, without the need to get wet. Stepnell uses simple language and well-chosen illustrations to depict the life of these ‘perfect swimming machines’ in his book entitled Little Penguins: Exploring the Life of the World’s Smallest Penguin. 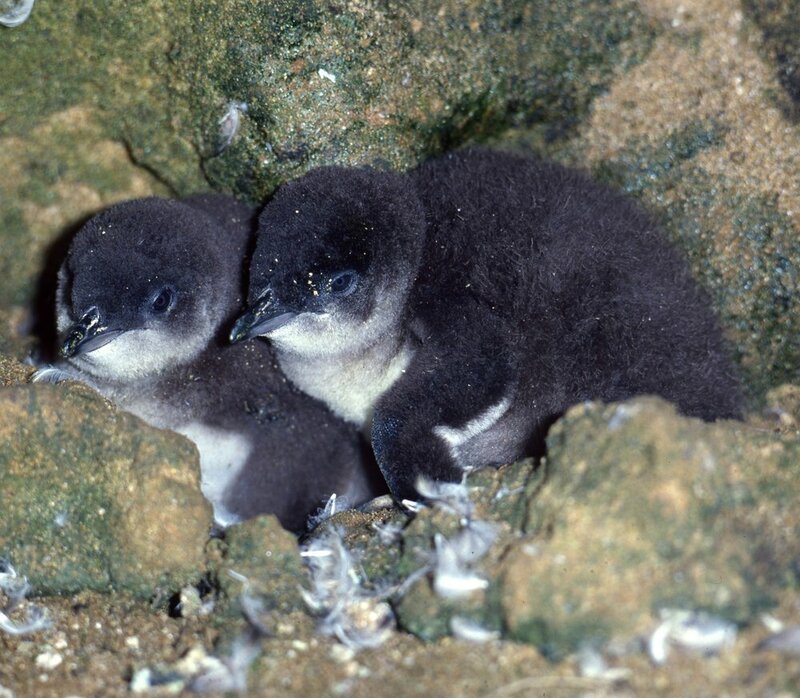 Little Penguins are the only penguin species that lives and breeds on the southern coast of Australia, and they are also found across New Zealand. In fact, in both of these places, they attract quite a lot of tourists, as these are the only locations in the world where Little Penguins can be observed on their way back to their burrow after an active day at sea. They display remarkable adaptations to exploit the marine environment, but also to get by on land. The book is packed with interesting facts about their lives, and will satisfy the curiosity of anyone who wants to know more about these ‘good little divers’ – literally the meaning of Eudyptula, the genus in which Little Penguins are classified. Stepnell starts by introducing the penguin family, which comprises 17 to 20 species of sea-going birds, depending on the classification used. These birds live mostly in the Southern Hemisphere and have evolved to live in very harsh environments, such as Antarctica. In his first chapter, Stepnell describes general features shared by these atypical creatures – birds that do not fly! – before introducing Little Penguins. Ever wondered if penguins have knees? Read this book to find out! 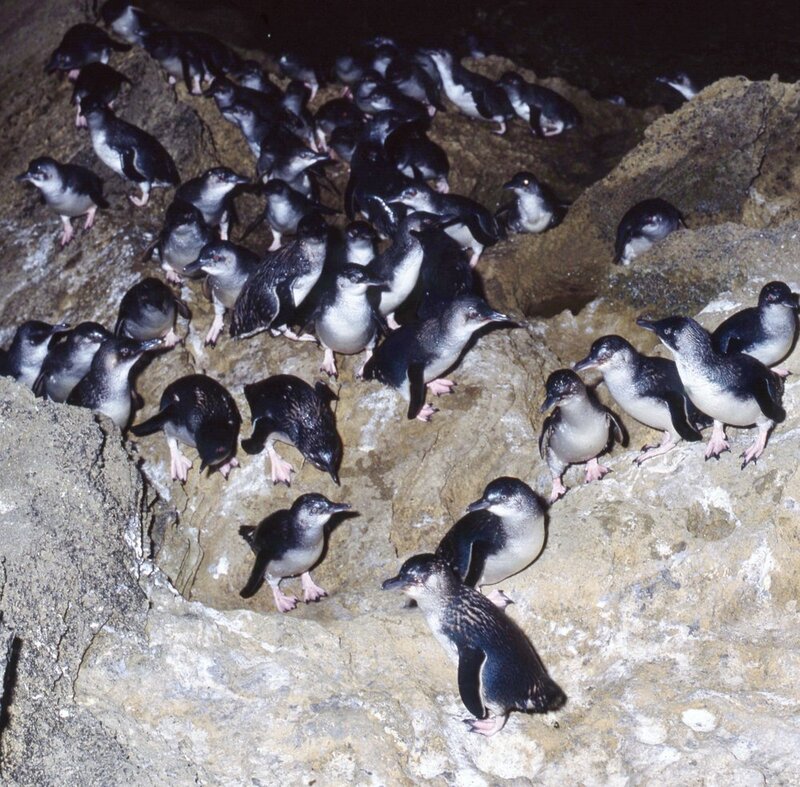 In the second chapter ‘Vital statistics’, Stepnell elaborates on the unique adaptations Little Penguins have developed to cope with their environment. In this part, the reader learns that Little Penguins have glands above their eyes to concentrate the ingested salt that will then be excreted through the nostrils; that they have a third eyelid to keep their eyes clean; and that their very rigid and streamlined flippers are the reasons why they can ‘fly underwater’ so gracefully. On land, however, they use their sturdy feet and sharp claws to walk and climb. The third chapter, ‘The lives of little penguins’, describes crucial activities for Little Penguins such as feeding, travelling and moulting. Ever wondered how and when Little Penguins catch their dinner? While you have it easy and can simply drive to the supermarket and pick up whatever you fancy, Little Penguins face the challenge of finding mobile food in the immensity of the ocean. Relying on results from scientific studies, Stepnell tells the reader how they go about doing just that. The fourth chapter, ‘The mating game’, is dedicated to the way Little Penguins do what is one of the most important things animals are programmed to do: pass on their genes to the next generation. Stepnell guides the reader through the different stages this species goes through during the few months of the breeding season, from nest-building and courtship to egg-laying and raising young. Here, the reader learns about how male penguins build burrows and stand outside them, calling in the hope of impressing the ladies; how many eggs a pair can lay and when; how penguins manage to keep their eggs warm; and how the chicks are fed. Want to know how often penguins divorce? You’ll find the answer in this chapter. ‘Threats and conservation’ focuses on the causes of population declines, which include natural and introduced predators, disturbances by humans, climate change, and pollution, to name but a few. 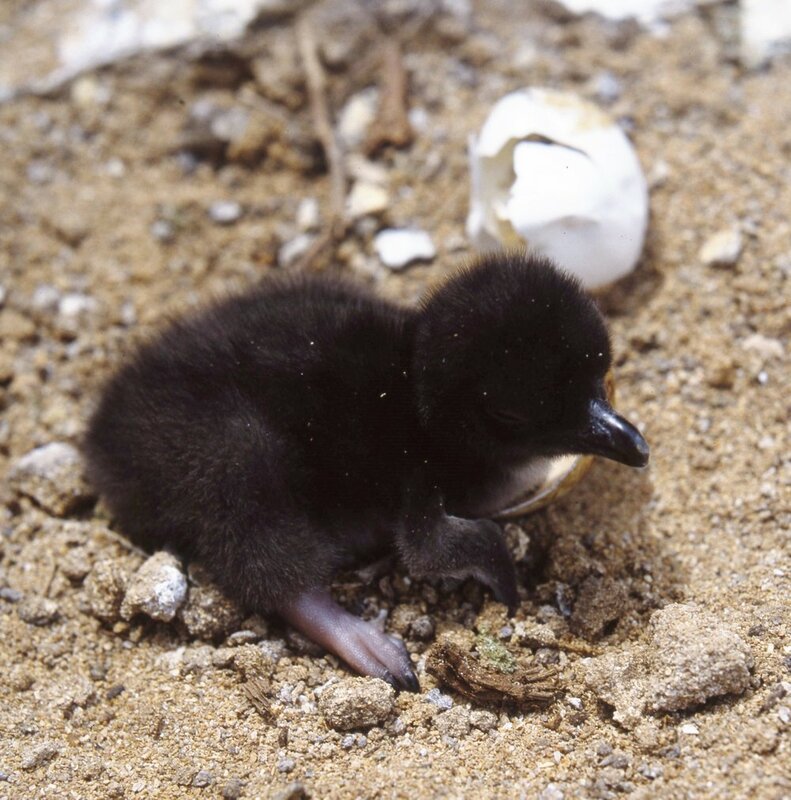 Even though Little Penguins are not globally threatened, some populations have clearly been declining. If Little Penguins has made you want to experience the life of these creatures for yourself and observe them in their natural environment, then read the last chapter of the book to find out where to go. Although giving an exhaustive list of suitable locations would be rather lengthy and was not the purpose of the book, the reader will find out about the most significant viewing opportunities throughout Australia and New Zealand. As a researcher studying penguins, I was excited to review this book and learn new facts. I would have liked to read more details on some of the adaptations described, as well as more results from the scientific literature with more up-to-date information. 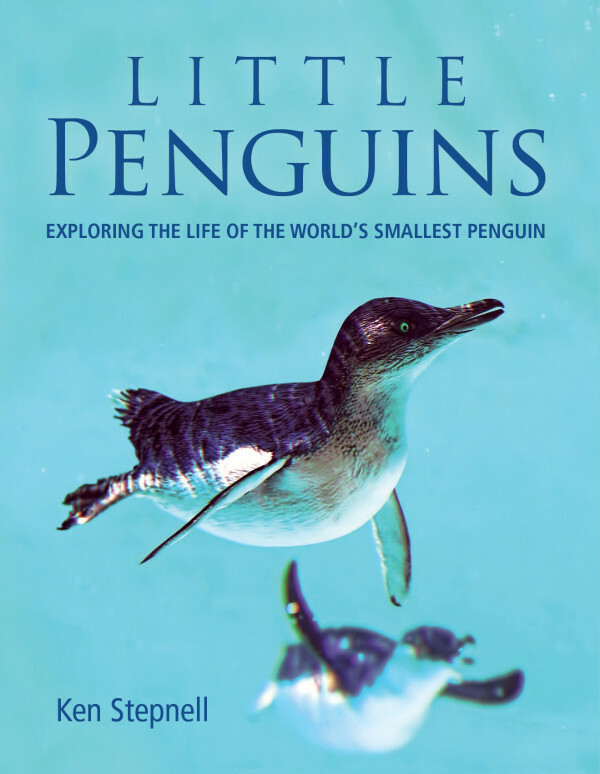 Nevertheless, Stepnell’s succinct style makes this book suitable for both adults and kids who want to find out more about the world’s smallest penguin. Purchase your copy of Little Penguins from New Holland Publishers. Banner image courtesy of JJ Harrison (jjharrison89@facebook.com) (Own work) [CC BY-SA 3.0 (https://creativecommons.org/licenses/by-sa/3.0)], via Wikimedia Commons. We share the world with countless species of animals, and all of them see the world in different ways to us. Dogs can smell a teaspoon of sugar in two Olympic-sized swimming pools of hot chocolate; sugar gliders love to snack on pollen, sap, and bugs; and bees use their dance skills to give each other directions. It seems inevitable, really, that people and animals would learn to work together and share our skills, so that we can all protect our home – the planet. That’s what Animal Eco-Warriors is all about. People and animals have been teaming up all over the world, from Africa to America to Australasia and Antarctica. Nic Gill’s book is jam-packed with 17 stories about animals working with people to conserve the environment. The cover may be colourful and crazy, but this is a book that takes its subject seriously. It’s aimed at readers aged 9-12, but don’t let the recommended ages stop you – this is a book that anyone can learn a lot from! Younger readers definitely won’t feel like they’re being talked down to – even adults will need to use the glossary from time to time, where you can find the definitions of unfamiliar words from 'biosecurity' to 'thoracic air sacs' (a special part of a bird’s respiratory system). Fact files in yellow boxes will also clue you up on the inner workings of a dog’s amazing nose, how ruminants like goats digest weeds, and how to catch an elephant seal (but don’t try that one at home). With all this great information separated out into the glossary and fact files, you can save your studying til the end and focus on what’s really important… the stories. Although the human-animal teams range as far afield as Utah and Mozambique, Nic Gill focuses mainly on the animal action happening in Australia and New Zealand. It may come as no surprise to learn that dogs have a big role to play in conservation. Their incredible sniffing power is used to track down koalas, seek out sausages in suitcases, and find feral predators like cats and foxes. This in turn helps people to monitor animal numbers, stop biological pests from entering certain areas, and protect native animal species that can’t defend themselves against new predators. While dogs dominate the pages of Animal Eco-Warriors, they aren’t the only stars of the show. Sugar gliders have helped one farmer defend his trees from swarms of destructive Christmas beetles. Goats have been put to work munching on invasive weeds. Even bees have been given backpacks to help scientists work out why their numbers are falling so fast. Nic Gill has travelled all over to meet the people who are training and working with these animals in the name of conservation. 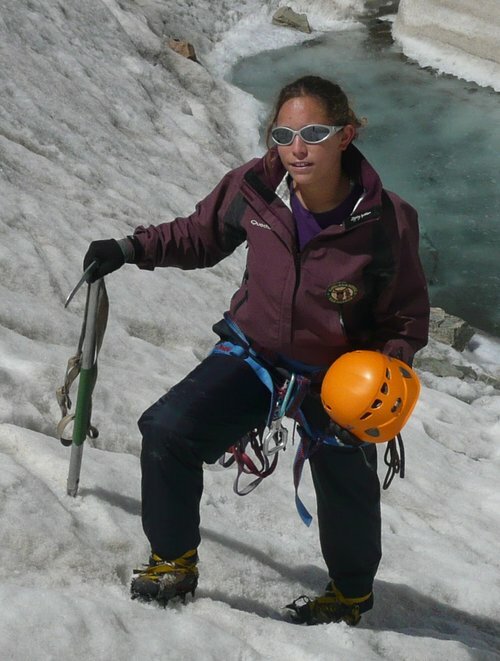 We follow her as she journeys to remote islands by boat, hikes through mountain landscapes in pursuit of tracking dogs, and chats to the fascinating people who have dedicated their lives to training animals to help the environment. The book is filled with photos of the animal eco-warriors at work, the pest species they target, and their handlers, as well as illustrations of the inner workings of some creatures. However, this is by no means a picture book, and it treads a good line between sharing fun pictures and anecdotes, and some seriously interesting information. Plus, the investigation doesn’t need to stop at the end of the chapter: in every section, Nic Gill offers ideas and links for further research online, and even some training tips for your own pets so you can emulate some of the animals’ work at home. Aside from a standard encounter with the biosecurity sniffer dogs at Hobart Airport, I wasn’t aware of any of these amazing human-animal conservation projects before I read this book. No matter your age, there’s plenty to learn and be entertained by. 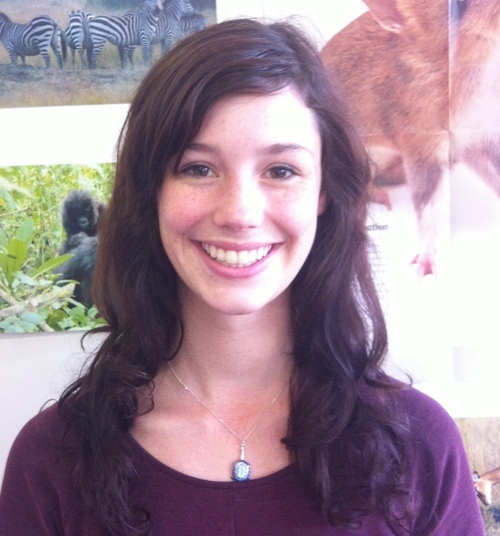 You can purchase your copy of Animal Eco-Warriors from CSIRO Publishing. Banner image courtesy of CSIRO. Trace Balla’s books Rivertime and the sequel Rockhopping take you into a world of adventure, curiosity and love for nature – and instead of being a far-off, inaccessible land, the books take place right in our backyard. In Rivertime, we are introduced to Clancy, a young boy who is (reluctantly) being taken on his first outdoor adventure by his Uncle Egg. He is as unenthusiastic as I remember being when I was dragged by my parents on what I considered “boring” family holidays out in the bush. At first Clancy is not happy – he sleeps terribly on the hard ground and he misses the telly. What follows, however, is a beautifully relatable story of slowing down and truly appreciating the world around you. Trace Balla has captured that all-too-familiar childhood experience of being dragged somewhere you thought would be incredibly dull, and finding out it wasn’t so bad after all! The cartoon style of the books allows Balla to introduce us to the vast range of native flora and fauna in her chosen area. In Rivertime we experience the Glenelg River in western Victoria, with images of red-tailed black cockatoos flying overhead, pied cormorants drying themselves in the sun, and long-necked turtles swimming below. Each tiny drawing is labelled, giving the reader just as much to explore on the pages as Clancy has in the story. In Rockhopping, the characters head to the Grampians with a plan – to search for the source of the Glenelg River. We explore with them the different habitat of the ranges, and the sense of adventure and curiosity that the characters show makes you want to get out there yourself. 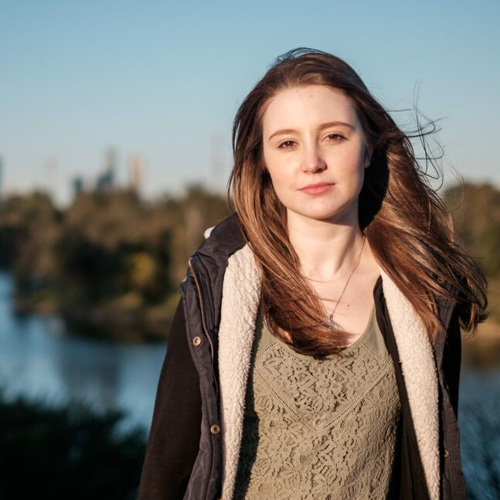 Balla also pays homage to the traditional owners of the land, and in her research the author spent time with the indigenous people of the area to learn how they felt about their homes. What she learned comes into the books, for example in traditional names like Billawin (the Victorian Range) and Bochara (parts of the Glenelg River), as well as knowledge of bush tucker and rope-making techniques that are thousands of years old. These books give kids a glimpse of the diversity, and history, of places that are right on our doorstep. There is so much information in there, it’s clear that Balla has done her research, going on both trips multiple times herself! What these books really highlight though, to both kids and adults, is what you can see if you take the time to look. The simple act of slowing down and actually seeing the world around you helps you appreciate nature for the wonderful diversity and uniqueness that it possesses – and unlike a lot of children’s books, this is an adventure that we can all take. “The closer I look the more details I see”. You can purchase your copies of Rivertime and Rockhopping from Allen & Unwin.